There are many choices out there. Different brands, functionalities and price points to choose from. For me, I wanted something that can support wide variety of tape and font sizes, can be used plugged in or mobile, and has a user friendly interface. 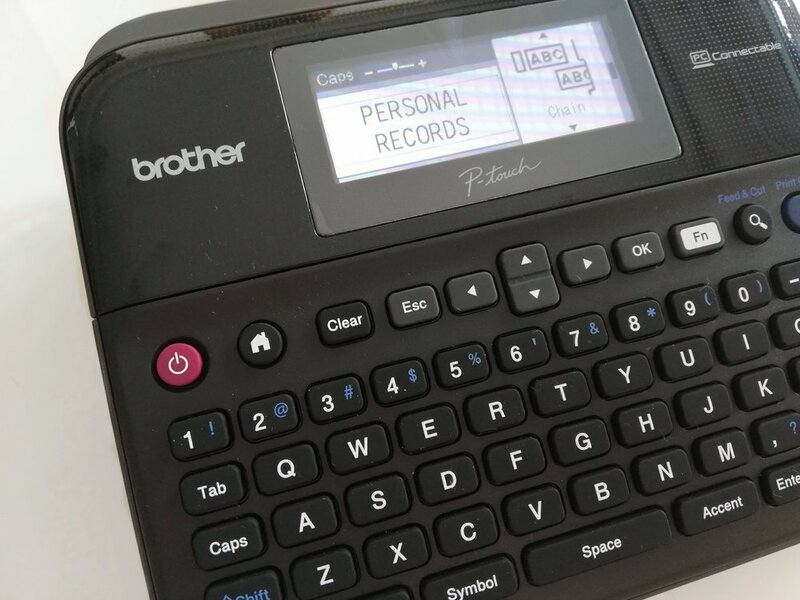 After a ton of research and reviews, I finally chose Brother P-Touch PDT600. I bought it online from Amazon for $75 but locally, it sells for around Php6000. There are other more brands and models with lower price points as well, ranging from Php2000 to Php4000. Luckily, my friend was visiting the States so I had it shipped to his place and he brought it home for me! Hooray for friendships and saved money! Overall, Brother P-Touch PDT600 is the all in one package for me. It is able to print labels with up to seven lines of text, supports tapes in five different widths, and supports up to eight different font sizes. It can be operated using AA batteries or plugged into an AC outlet. I absolutely love it! No wonder, it was branded as the best label maker overall in most of the reviews. You can check out the full specs here. These type of label makers use thermal printing mechanism and a label tape which you need to replace once the roll is used up. These tapes cost around Php 500 to 1000 so better to equip yourselves with the right know-hows to help you make the most out of these tapes! Read on to see how I maximized mine in this easy labeling project! Think carefully about the file names you wish to use for each document classification you have. File names should be unique and logical. It should be easily identifiable and understood even by your family members. List them down in your paper. Planning is key in avoiding printing mishaps! Font - I like my labels simple, so I chose LGO (Letter Gothic). Be creative and use anything you like! Font size - I used font 12. I found this just right for a 12mm tape with two lines of text. Label length - measure and input the length of your envelope’s label tabs. Mine measured 1.2". Cut Option - You can either choose SMALL MARGIN or the CHAIN printing option if you wish to reduce the amount of wasted tape. Further instructions on how this works on the next step. Input one file name, then print. Repeat until you reach your last file name. Note that with the Brother P-Touch label maker, a one inch piece of lead tape is cut off prior to every label that prints out. Unfortunately, this cannot be eliminated but can be reduced with the CHAIN cutting option. With the CHAIN option, it will still cut a piece of blank tape before printing the first label, but then treat the succeeding labels as a chain of prints, even if you are printing them one at a time. The label will only get cut once the next one is printed. Thus, when you are about to print your last label, switch the CUT OPTION to SMALL MARGIN to have it printed and cut. Peel each label and stick on to each label tab! 5. Put those labels on! Insert each label into the tabs and show your family members so they also know where to access your personal records in case of emergencies. There you go! I hope you find this blog post useful for your future labeling projects!